The following questions are a sampling of what might be asked in an interview for prospective Elders. The sampling of questions could also be modified for use in a Deacon interview. These questions are not intended to be exhaustive; they are however intended to be representative of the kinds of questions churches often don’t ask before affirming men to serve in positions of leadership in the local church. You are encouraged to reproduce this sampling of questions for your church leadership interviews. 6. Tell us of your past and present relationship to your wife. Are you a one-woman man? What is your relationship to your children? Could we ask your children (if they are able) about their relationship to you? What about your relationships to your co-workers? What about your acquaintances? 8. What brings you the greatest joy in ministering to others? What brings you the greatest disappointment? 9. What, in your opinion, defines shepherding within the eldership and how will you go about this task? Do you desire to meet regularly with others in the hope that they will be helped in their spiritual walk? Why is an Elder (paid or unpaid) held to a higher standard in this matter of shepherding? 10. What are your favorite doctrinal/theological topics and why? Do you hold to the absolute authority of Scripture? Describe the role of an Elder when it relates to defending the Christian faith. Why is an Elder called upon the “Refute those who contradict?” What format for the communication of the truths of the Word of God would you be most comfortable with? One on one? Small group? Bible Study? Men’s Study? Sunday School setting? 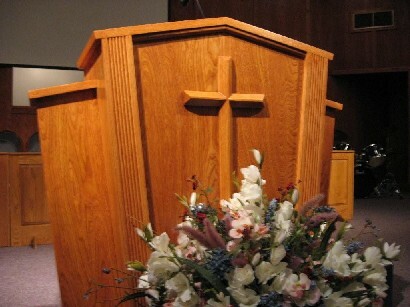 Pulpit? Questions 11 - 15 tomorrow.